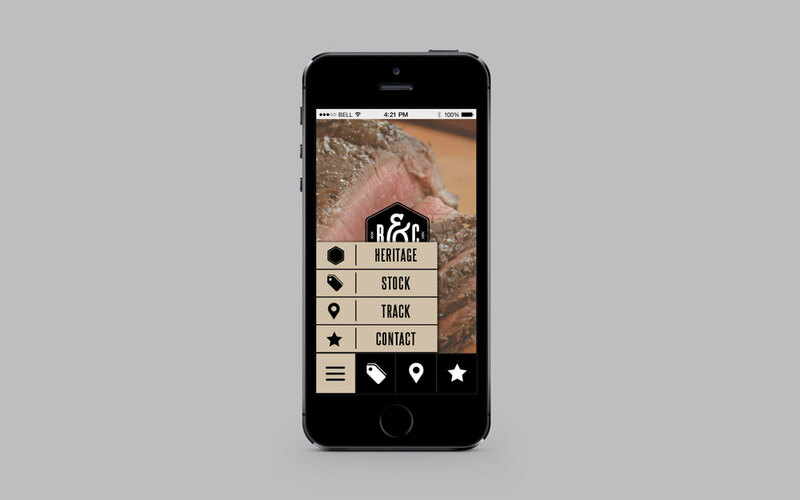 Brand and design a fictional butchery. Hunting is a popular activity in Pennsylvania. Many hunters will take their kill to a local butchery to get their meat, but not my family. I grew up in a family of butchers with an annual tradition of getting together to butcher our own meat. I created this project inspired by this practice. Boone and Crockett is a fictional venison-based butchery, aiding hunters all across Pennsylvania. The twist? They will travel to you and butcher your kill for you at your location, perhaps even with your involvement. In branding this mobile butchery, the first major component was a series of packaging for the meat that they butcher, as well as additional items they sell on their website. The company website serves as a means to contact the butchers, figure out what meats you want, and buy their branded knives and other products. Included is a set box of recipe cards that revolves around venison and what the customer can make with their butchered meats.